These won’t be available until the start of May but here are sneak preview shots of two of the forthcoming Calpe French packs that’ll round out the route-march set. I think I mentioned these in my Salute report so it’s good to be able to follow up so quickly with the eye candy. Enjoy! Pack F17 - the "cherry on the icing" pack as Peter F. has christened it! Pack F18 - the regimental command pack. I think these will prove to be two very popular packs. 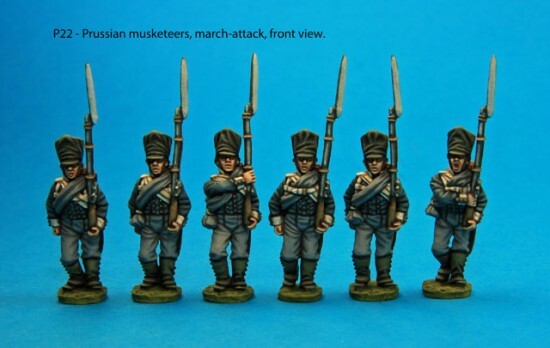 Pack F17 includes a several lovely scuplts, especially the typically enthusiastic French pose of a shako being hoist high on the end of a musket! And I can see how many a command stand will be painted and based up using Pack F18. I even forsee some nix ‘n’ match between these two sets!